If you are facing a criminal case in Detroit, make sure you have trusted legal counsel on your side. Your future is too important to take unnecessary risks when opposed by prosecutors, police officers, detectives, and the extensive and well funded resources of the criminal justice system. There is nothing more important to you than obtaining a great result. Having a quick thinking lawyer who does not flinch when facing the pressure tactics of prosecutors and Judges, and who is willing to roll up his sleeves and work tirelessly on your file, pressing for every advantage is exactly what you need. Your best opportunity to achieve a great result is to have an intelligent, well spoken lawyer with the legal acumen and experience fighting on your behalf. Turn the tide against the prosecution and contact criminal defense lawyer Daniel Hilf of Hilf & Hilf, PLC right now for strong legal representation. With the criminal defense of misdemeanors and felonies, there is no place for errors, bad advice, or for anything short of zealous legal representation. There is no question that you deserve to be treated with dignity and respect by your lawyer, the prosecution, and Judges. Attorney Daniel Hilf's job is to respectfully represent individuals at their worst moment, no matter what the accusation made, to assert a vigorous defense. Attorney Hilf does not take sides against his clients - he is here to help, to provide sound legal advice and strategy, and to have his clients' backs. The goal of attorney Hilf is always to have the court situation impact your life as little as possible. Having a false accusations of a crime made against you is the worst feeling in the world. Having a client who is the real victim is an awesome responsibility for any lawyer. The criminal justice system in several regards is broken, and unfortunately this is sometimes at the expense of innocent persons. People that are innocent are wrongfully persecuted for a several reasons, including: persons targeted by police officers; mistakes made by police officers; lies and deception; assumptions that are wrong; prejudice and bias; and violations of Constitutional rights. Police officers by their nature jump to conclusions, and view their job as seeing if they can build criminal cases. The process employed by law enforcement is neither impartial or neutral. This increases the risk of innocent persons being wrongfully convicted. The vow of attorney Daniel Hilf is to do everything in his power to prevent false convictions from occurring to his clients. This can only be accomplished by a strong work ethic and to leave no stone unturned in his criminal defense approach. There are also instances of the overreach of prosecutors by "overcharging". Overcharging occurs whenever the prosecutor elects to charge an individual of more serious criminal offense than what really occurred. For example, a person who simply possessed cocaine might be accused of possession with intent to deliver because he had money in his pocket, but no use paraphernalia. Just because someone committed a less serious offense does not mean that prosecutors should try for something more. Winning often means, in these cases, being convicted of and sentenced for what actually occurred and not based upon exaggeration. Part of the job of your lawyer is to attempt to convince jurors, Judges, prosecutors, probation officers, and detectives of your lawyer's version of the event in question. Protecting client rights, compassion, placing the case in the right light, upholding Constitutional rights, and persuasion all play roles in the legal representation by attorney Daniel Hilf who is a results driven attorney. You are encouraged to fully look into the background and career accomplishments of attorney who will defend you. 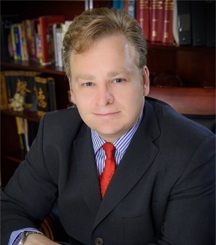 Your investigation will confirm that attorney Daniel Hilf has over 20 years of experience and over 100 jury trials in the defense of criminal clients, he has won awards for his legal advocacy, and has thousands of satisfied current and former clients. Have you been accused of a crime, received a ticket, or have to go to 36th District Court, Frank Murphy, the Lincoln Hall of Justice (Juvenile Court), Federal Court, or any other metro-Detroit Court? Contact attorney Daniel Hilf so he can work for you. Hilf & Hilf, PLC attorney Daniel Hilf is available for consultation to answer your questions, and to ultimately provide you with expert criminal defense counsel. Given that criminal accusations are often unexpected expenses, payment plans are possible in many instances. We accept all major credit cards, debit cards, money order, cash, and check. Hilf & Hilf, PLC attorney Daniel Hilf will make himself available upon short notice. Contact Hilf & Hilf immediately for help with your criminal court issue.